Pre-match tension builds for West Ham’s season curtain raiser. Excitement and anticipation have been left simmering away that little bit longer for us this season as we feature in the last of the opening weekend fixtures away at Stamford Bridge. With squads going through major Dr Who style re-generation every year it is difficult to know what your team (and the opposition) will look like as the real business of the day gets going. According to the Whoscored analysis of our style of play from 2015/16 we are very strong at free kicks, set pieces and coming from behind; strong at creating chances, finishing, working long shot opportunities and aerial duels; but weak at defending against long shots, defending against skillful players and individual errors. Our stats show lots of crosses, lots of shots, and tendency to attack through the middle and be the victims of aggressive opponents (the 3rd most fouled team last season). How will adding a handful of extra wingers to the squad affect this I wonder? Chelsea who have a new manager and have added a few more £30 million pound players to their squad in Batshuayi and Kante will be looking for an improvement over last year’s effort free from any midweek European distraction. Let’s hope they do no hit the ground running. Our record against Chelsea is reasonably even-stevens with Chelsea recording just one more victory than ourselves. Given that we have won only 2 out of 21 since the asylum seeking roubles washed up in west London it is clear that historically we have held the upper hand. 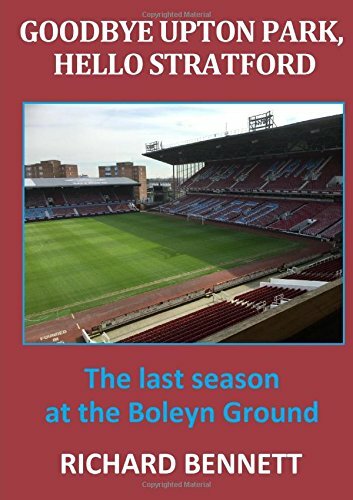 After having been cheated out of victory at the Bridge last March we have to look back to September 2002 for our last success at their quaint, little stadium; a victory masterminded by G Roeder Esq and executed by P Di Canio. It is difficult to speculate how we might line-up for this game. There is speculation that neither Payet nor Masuaku are match fit and may only be on the bench. The PhysioRoom website is still showing 9 players sidelined for us; in addition to the longer term absences of Cresswell, Lanzini, Tore and Sakho they also list Kouyate and Obiang as potential absentees. It will be a big loss if Kouyate is not fit in my opinion and the combination of Antonio and Byram as right and left backs respectively is not filling me with confidence. Chelsea report injuries to Terry and Zouma. Surprisingly, Terry has a head injury as you might think there is nothing up there to damage. Tonight’s referee is Anthony Taylor from Greater Manchester. Taylor officiated 4 West Ham matches last term resulting in defeats to Leicester [H] (where he sent off Adrian) and Watford [A] and victories against Newcastle [H] and Everton [A].